Forecasted growth rates of 6.3% in sales of automobiles in the USA clearly demonstrate one thing: that the USA is and will remain one of the most important trading partners for Germany and German industry. 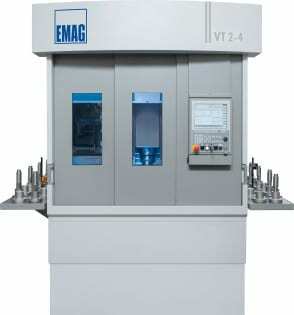 The USA is traditionally an important market for EMAG, a leading machine tool builder in Germany. This is emphasized by the fact that EMAG has been present in Farmington Hills, Michigan, for many years now. 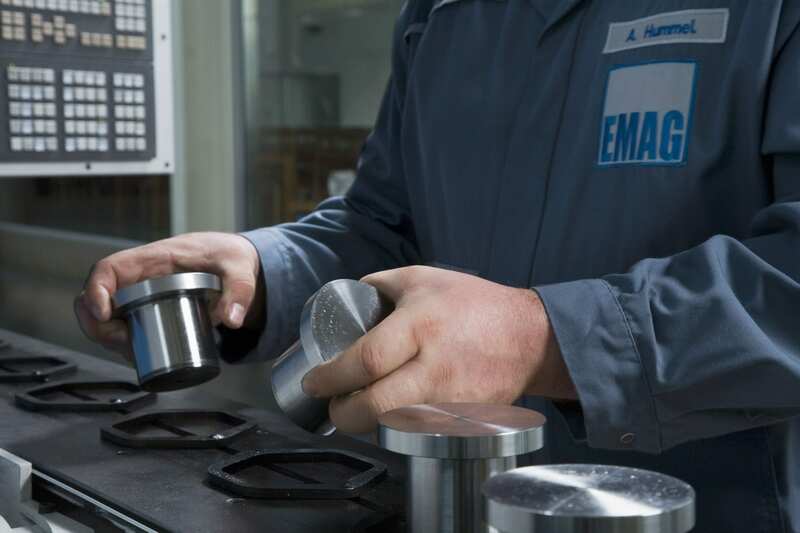 Thanks to the deep roots that EMAG has in the USA, it is not only an important employer in the region near the “Motor City” of Detroit, but it is also a reliable business partner for numerous companies throughout North America. See the quality and reliability of our products for yourself at this year’s South-Tec show in Greenville, South Carolina. EMAG will showcase its machines in the TD Convention Center at Stand 701 at the trade fair to be held between October 29 and 31, 2013. 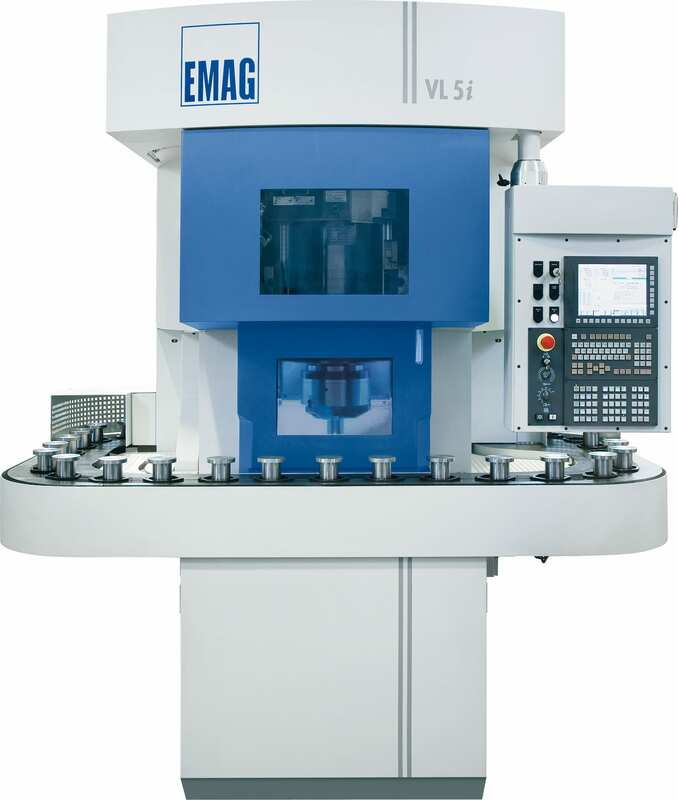 When the aim is to shorten idle times, there are very few machines which can rival the EMAG VL 2-P. Workpieces up to 100 mm in diameter can be machined on the VL 2-P with unbeatably short cycle times. While there is a pause on other machines to allow the workpiece to be changed, the next workpiece is directly ready to machine on the VL 2-P. The key is that 2 spindles are used and these load themselves alternately while the tool turret swings between the machining positions. 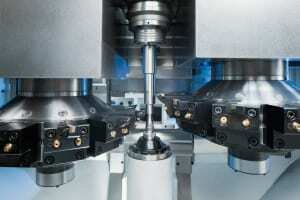 When machining is completed on one spindle, the tool slide moves to the second spindle to start a new machining process. Loading and unloading of the spindles which now occur in parallel with machining are virtually eliminated from the machining process and reduce idle times to an absolute minimum. The vertical, 4-axis pick-up-turning machine VT 2-4 allows machining of shafts with a length of up to 400 mm and a diameter of up to 100 mm. Our consistent demand for maximum productivity is demonstrated by integration of the automation solution whereby the machine loads itself with raw parts using workpiece grippers. 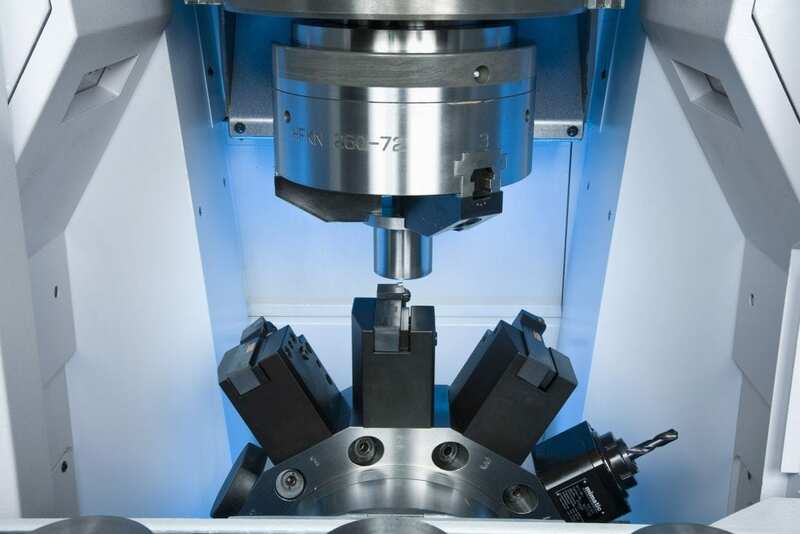 It takes approximately 6 seconds to change the workpieces and this thus leads to short idle times and, consequently, lower component costs. 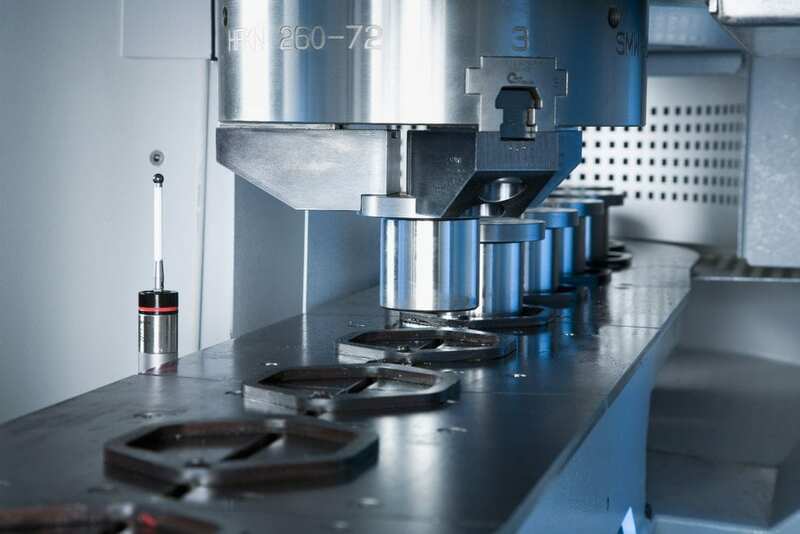 The actual turning process for which two tool turrets, each with eleven tool positions, are available (fitted with turning tools or driven tools) is performed at a speed of 6,000 rpm in extremely short cycles. The VL 2 vertical pick-up turning machine is just the right choice for machining chuck parts with a maximum diameter of up to 100 mm and a length of up to 150 mm. At the same time, the VL 2 offers a whole range of clever design details and hi-tech components. 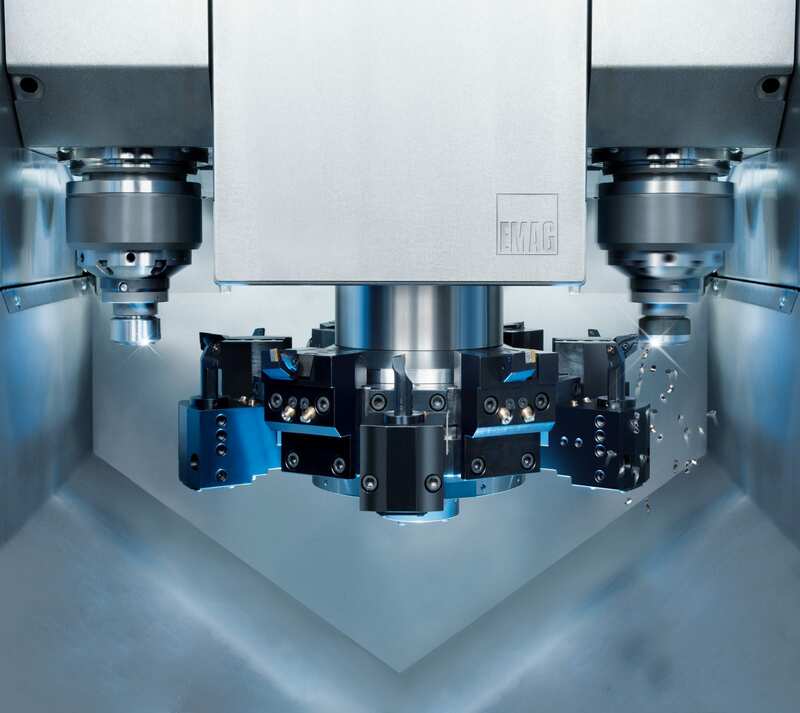 These include the pick-up spindle which loads itself with raw parts from the integrated conveyor belt and the tool turret equipped with 12 tool positions which allows diverse machining scenarios. 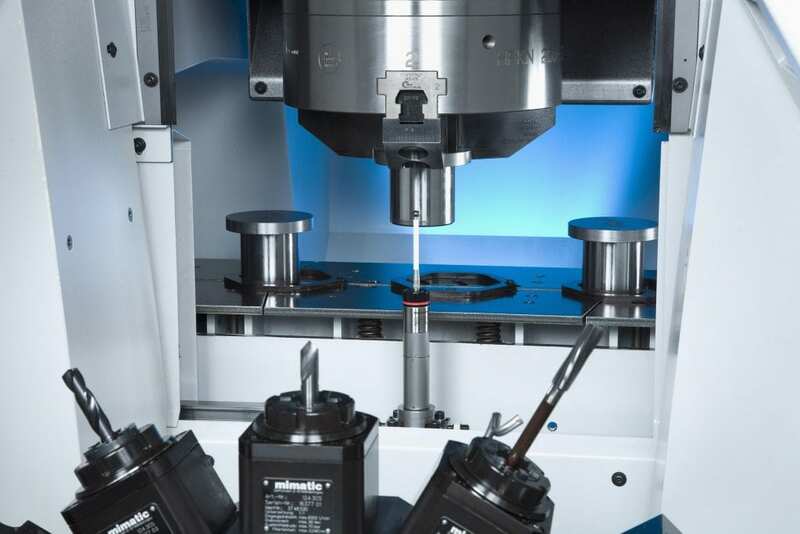 The machine body made of MINERALIT® polymer concrete ensures high strength and excellent vibration damping which is indispensable particularly when machining small chuck components. 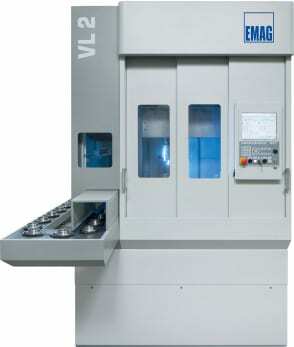 Be it small or large series production, the EMAG VL 5i is the ideal manufacturing solution for turned parts up to 250 mm. The VL 5i is an interesting manufacturing solution above all for small- and medium-sized component producers, thanks to its excellent characteristics (e.g. short retooling times and fast programming). An automation system functioning on the basis of the drag-frame principle is integrated to round off the equipment features. This automation system, combined with the pick-up technology from EMAG, is the basis for the high productivity of the VL 5i. 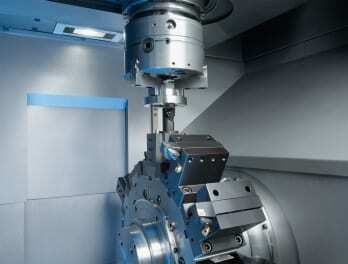 The workpieces are conveyed to the inside of the machine via the revolving automation system. The pick-up spindle loads itself there and it also deposits the finished workpiece back on the conveyor after machining. The advantages are obvious: the revolving automation system allows simple and very reliable loading and unloading of the parts, while the self-loading spindle ensures maximum machining reliability since clamping errors are virtually completely eliminated.